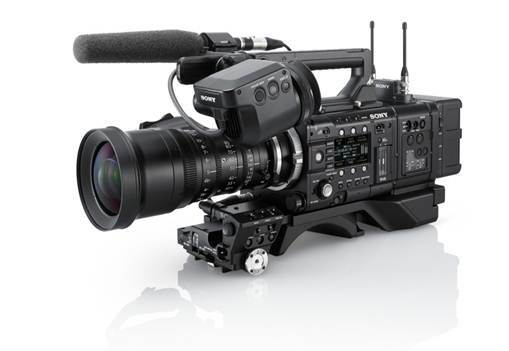 The Doc Dock for Sony’s F55 Camera is officially named “CBK-55BK build-up kit.” It bolts to the base and turns the F55 into a single-operator, documentary/ENG-style, shoulder-resting camera. A working prototype of the Doc Dock (CBK-55BK) will spend an evening in Los Angeles at the Digital Motion Picture Center in Sony’s Culver City Studios on October 9 at 6 pm. A full line-up of Fujinon lenses will also be on display. Fujinon Cabrio lenses with their servo handgrips are almost standard-issue for this package. RSVP to your local Sony representative.